Do you want to get NASA recognition and potentially be mentioned in a "thank you" video made by the association? Well, just take a picture of the nearest cloud and upload it to the GLOBE Observer app until April 15. 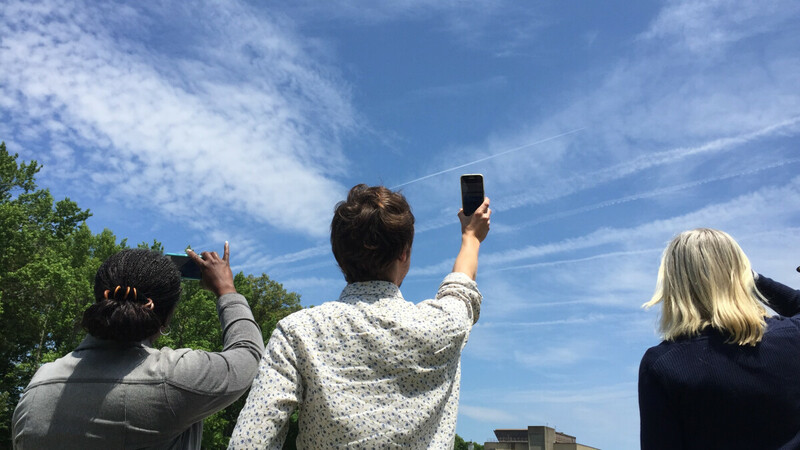 What may seem cloudy (ha-ha) at first is part of NASA's Globe (Global Learning and Observations to Benefit the Environment) program, which aims to incentivize students and science enthusiasts to collect useful data and participate in scientific processes. You can currently help science by taking pictures of random clouds, which will be used by NASA in classifying cloud formations. “The GLOBE Program is offering this challenge to show people how important it is to NASA to have citizen scientist observations; observations from the ground up. [...] We’re going from winter to spring, so the types of storms will change, which will also change the types of clouds” said Marilé Colón Robles, leader of NASA's GLOBE Clouds team. As to why NASA needs your data, that's because of the new CERES (Clouds and the Earth’s Radiant Energy System). It's a new monitoring instrument, which will be launched into space in November. To be as precise as possible, CERES needs ground data in addition to the aerial observations. “Looking at what an observer recorded as clouds and looking at their surface observations really helps us better understand the images that were matched from the satellite”, Ms Robles said. You can upload your cloud-breaking (last one we promise) pictures via the GLOBE Observer app, which you can download here. Keep in mind you have a limit of ten cloud pictures per day, so choose wisely. Interesting...I love taking pictures of clouds. Will have to send them everything I have. May be NASA wants the pictures of the cloud for the videos it makes with computer effects and presents as LIVE FEED from ISS. With technology evolving and so many pictures of cloud from public and different places of the earth, perhaps the NASA can give two LIVE FEED from ISS in the near future. So HELP NASA create more such videos !! !